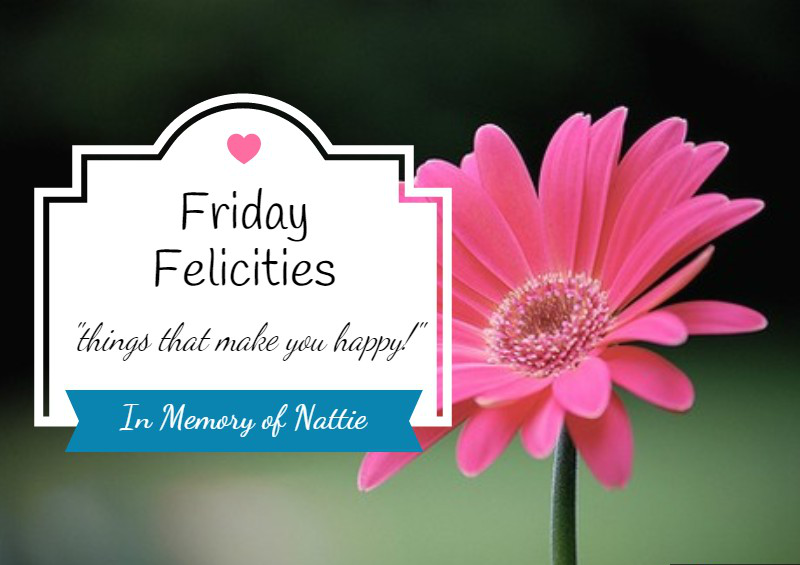 Friday Felicities is all about things that make you happy and was started by my friend Nattie. She knew the value of counting your blessings. Nattie has been a resident of heaven since 2007. I miss her a lot. Watching the season change from my big picture window. Watching a concept click in my son's mind. A playful puppy, even when it's early! What makes you happy? List them in the comments below or stop by our Facebook page to share; or perhaps you would like to blog about them on your own blog? Leave a link and I'll come visit! Friday Felicities: What Makes You Happy?